This chewing gum packet prompted me to have 4 pieces of chewing gum today, that’s more than I visit most museum websites in a year. 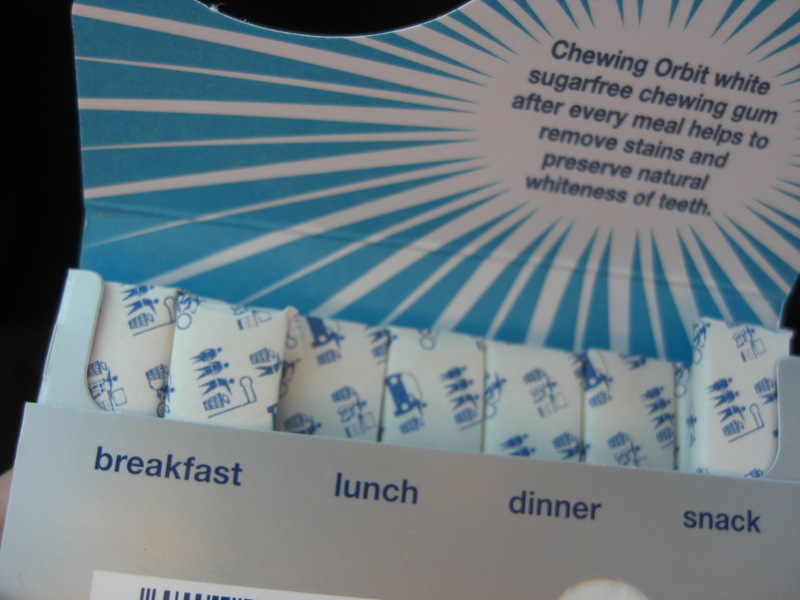 The text on the packaging cleverly positions this product, chewing gum into 4 different daily activities. Museums could learn a lot from this approach, rather than being an occasional activity clear positioning of online museum experiences could make them central to a range of co-existing daily activities from breakfast, lunch and dinner to snack time.